The Need To Reduce Pollution is the reason why Hiclone has been copied by car manufacturers. To meet the Developed World’s ever increasing Emissions Regulations, requires more efficient combustion. Swirling combustion processes are now used by every manufacturer. But this technology adoption has been a gradual process which started around 1995, despite Hiclone being available to the industry since 1989. Hiclone can increase the swirl within the combustion chamber by over three times what a standard production engine can generate naturally. 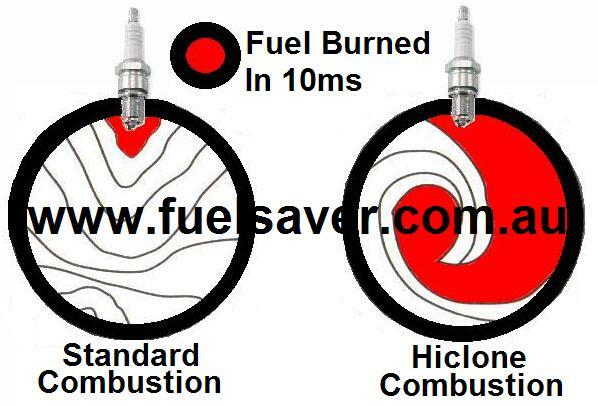 Creating better flame propagation, accelerating combustion, which gives a more even down force on piston. 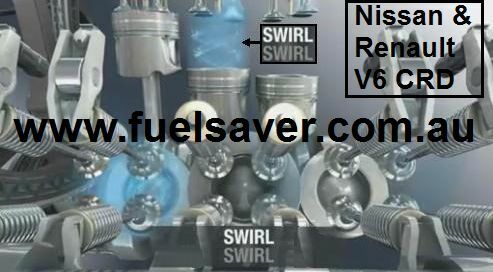 Even engines which now use this Swirl Combustion Technology can still benefit from increased swirl by adding Hiclones. To understand how powerful the Hiclone swirling airflow pattern is, one major race team tested Hiclone on their flow bench. On a stock standard cylinder head they got 120rpm of Swirl in the combustion chamber. With Hiclone they got 980rpm, over 3 times the Swirl. 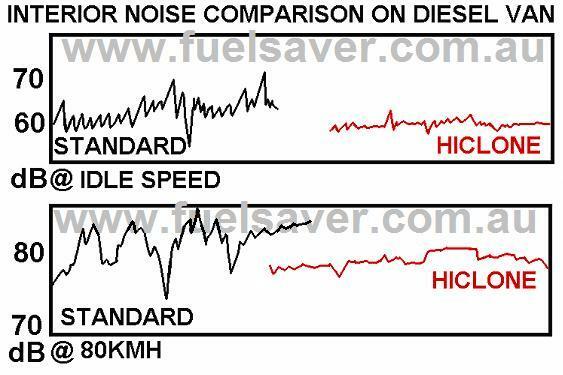 More efficient burning of the fuel means greatly reduced levels of Exhaust Pollution; this was the reason Car manufacturers copied Hiclone, to help their vehicles comply to tougher Emission Laws. During the Swirling combustion process, Hiclone makes the power released from the exploding air/fuel mixture in each cylinder, provide a more even down-force and reduces piston slap and scuff, leading to more stable engine performance. The uniform force reduces noise and prevents abnormal abrasion.